In the following pictures of Thetis you can see her abridged story. We know that Peleus had a hard time trying to get ahold of Thetis. 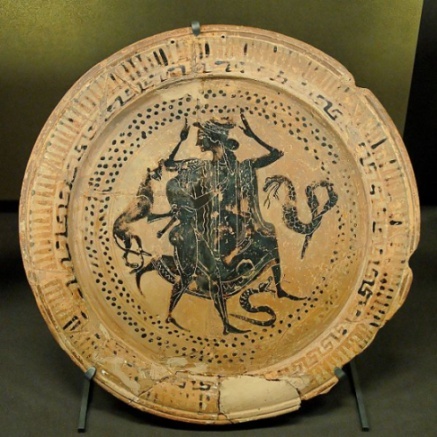 This proved to be very difficult, because the goddess, a marine divinity (a nereid), was a shape-shifter. She turned into water, a flame, a lioness and a serpent. 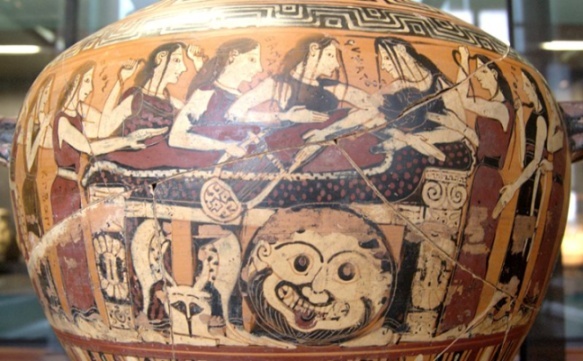 In this picture, the lioness on the nereid's shoulder is just another one of the shapes she took during the fight. Here we can see greek god Poseidon, in the background, who instructs Peleus how to catch Thetis. 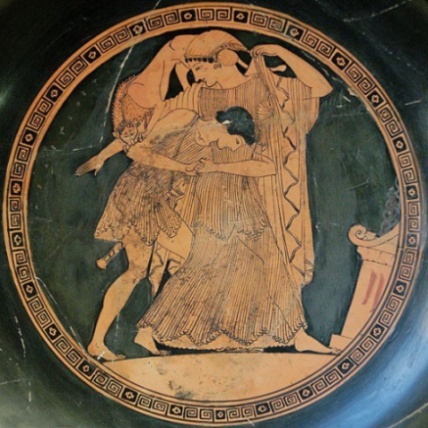 In the foreground, we see Peleus trying to tie her with a rope, while she is sleeping. When her son, Achilles, was a little baby, she dipped him into water from the Styx, in order to make him invulnerable. But she hold him by the heel, which remained vulnerable. ... and gave them to Achilles. During the war of Troy, when Achilles was offended by the way in which he had been treated, he asked his mother, Thetis, to go and plead with Zeus, in order to make the Trojans push back the Greeks. This way, the Greek army would see that, without Achilles, they can't achieve anything. So Thetis went and kneeled at Zeus' throne, she put one hand on his knees and with the other hand she grabbed his chin, begging him to avenge the unjustice that Achilles had to suffer. But in the end Achilles died in battle, and Thetis and her nereids mourned him. PS: the pictures of Thetis without any caption are taken from Wikipedia and are in the public domain. 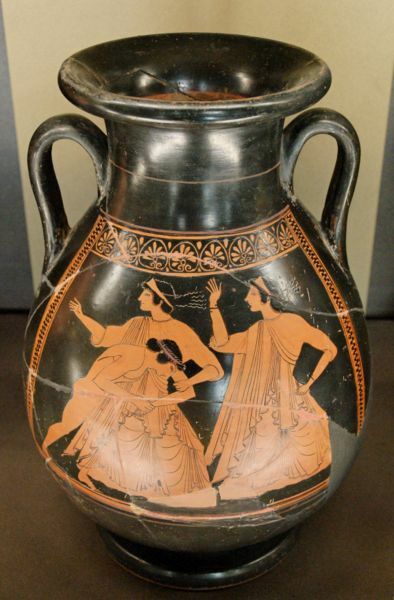 They represent Greek vases from the Louvre museum. 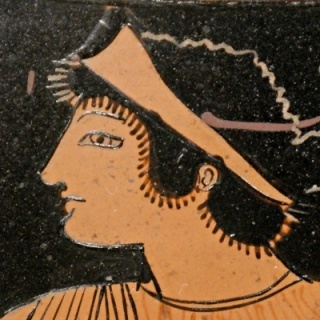 After all this pictures of Thetis, if you are curious to know who was Thetis, click here to read the first part of her story (her wedding to Peleus). 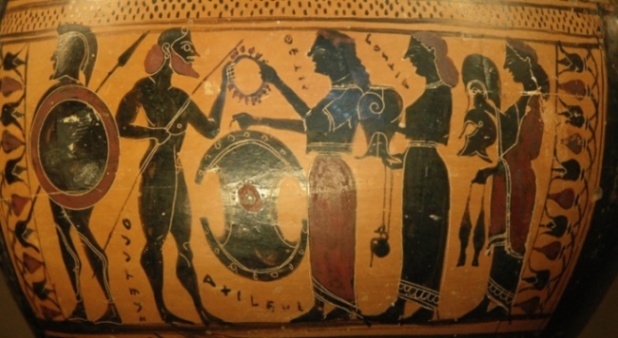 Click here to read the rest of the story, about Thetis and Peleus' son Achilles and how his mother tried hard to protect him.